One of the central planks of the British government’s legislative agenda ahead of Brexit, the European Union (Withdrawal) Bill, will begin its second reading on September 7 as MPs return from their summer recess. The government’s aim for the bill, originally known as the “Great Repeal Bill”, was to “convert the body of existing EU law into domestic law”, so that parliament can decide what to keep or repeal once the UK leaves the bloc. This was to ensure that, “as a general rule, the same rules and laws will apply after we leave the EU as they did before”, so as to reassure citizens and businesses. But the bill falls far short of providing citizens and businesses with clarity and certainty. Instead, it paves the way for the modification and removal of rights that currently exist under EU law. The bill explains how what was EU law will be incorporated into domestic law. At the same time as it ends the supremacy of EU law, it appears to reassure those who want continuity (and to avoid cliff-edges), by stating that EU rights and obligations, defined broadly, are to be recognised and made available in UK law. But in its current form, the bill enables those EU law rights to be modified and removed by primary legislation and as a result of the withdrawal agreement drawn up between the UK and the EU. It also gives ministers unprecedented powers to enact regulations to deal with so-called “deficiencies” in EU law retained on the UK statue books after Brexit. And it changes the ways in which EU law rights are to be enforced, rendering them both weaker and more precarious. Because of this, the government must drop any pretence that the same rules and laws will apply after the UK leaves the EU. Let us then fast forward to March 2019, and imagine that this bill has become law. Much will have changed. The extent of the change will depend on the nature of the negotiated agreement between the UK and the EU … if there is one. There is currently a huge gulf between the UK and the EU sides and the UK’s calls for imagination and flexibility have been answered by the EU negotiators with pleas for realism. There is little trust – a commodity which will be needed to reach an agreement. It is only on the basis of the Article 50 withdrawal agreement that it will be possible to know which rights will be affected by the EU (Withdrawal) Bill – and how. Crudely, to the extent that Brexit is “soft”, EU rights are likely to be maintained; to the extent that it is “hard”, they are likely to disappear. The bill is intended to cater for the whole spectrum of outcomes. Rights may disappear in several ways. 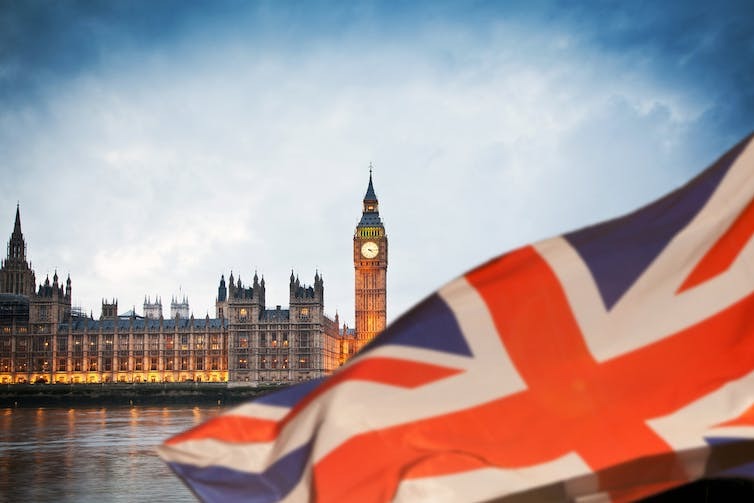 First, the suite of Brexit bills promised in the 2017 Queen’s Speech will herald what may well be an entirely new, and as yet completely undetermined, legal regime on issues such as immigration, trade, customs, agriculture and fisheries. The content of these bills is intimately linked to the conclusion of the UK-EU withdrawal agreement – which may preserve the current regime (perhaps only for a transitional period), or make a decisive break with the past. New rules relating to people’s ability to live and work in the UK, and to trade with the EU in goods and services will be debated in parliament in the months ahead. The withdrawal bill ensures that they will not be subject to existing EU law rules, rendering existing rights vulnerable. Second, the bill affords sweeping powers to ministers to make such provision as they consider “appropriate”, to “prevent, remedy or mitigate” what it calls “deficiencies” in retained EU law, and to “implement the withdrawal agreement” with the remaining 27 EU member states. It seems that the desire to “take back control” from the EU has morphed into an altogether more sinister desire on the part of the government to minimise scrutiny of its policy choices. And third, the enforcement of UK law in the UK on and after Brexit day will be a matter for domestic courts. UK courts will ultimately have the freedom to ignore not only the future, but also, in some instances, the existing case law of the European Court. The relevant provisions in the bill leave much to the discretion of UK judges. The judiciary’s response was a call to the government to spell out more clearly what they should do. The reality is that leaving the EU does not represent a mere tidying-up exercise. It requires major constitutional and policy change. Ahead of the second reading, Conservative party whips have been rounding on any pro-Remain dissenters within the party who may be tempted to vote against the bill. But MPs must recognise the extent of the change provided for in this bill, and scrutinise the proposed arrangements accordingly. They should pay attention to each of the elements discussed here: the relationship between this bill and future Brexit bills, the broad powers afforded to ministers, and the future responsibilities of the courts. And they should recognise that the passage of this bill through parliament provides them with another opportunity to shape Brexit. This entry was posted in brexit and tagged brexit, EU, EU law, Repeal Bill, UK courts by policybristol. Bookmark the permalink.